Osteopathy promotes an understanding of the correct position and function of each bone in the body. As a system of health care, it places special emphasis upon the importance of body mechanics, and uses manipulative techniques to detect and correct faulty structure and function. 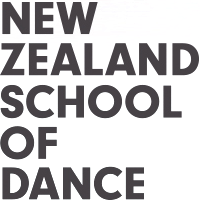 Osteopathy services for the New Zealand School of Dance are provided by Osteopathy on College, which is a twenty minute walk or five minute drive from the School. There is a fee for this service, to be paid at time of booking.